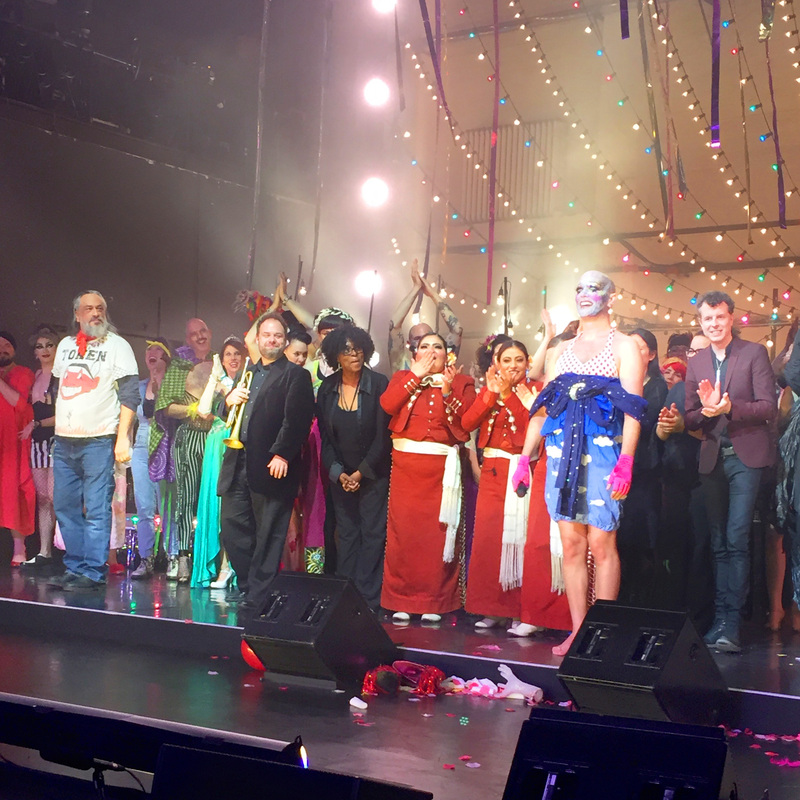 I’m riding on an sparkling tsunami wave of profound gratitude for the epic adventure that was the performance art concert of Taylor Mac’s “A 24-Decade History of American Popular Music.” For the Los Angeles run of the show, it was split into four parts of six nonstop exciting hours each. 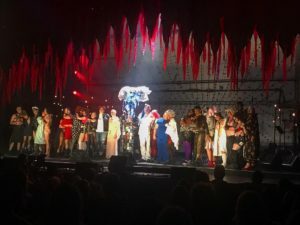 And WOW it lived up to the anticipation – it was a musical thrill-ride, twisted fashion show, fun-house of audience participation, and historic sociopolitical/educational experience all rolled into one! 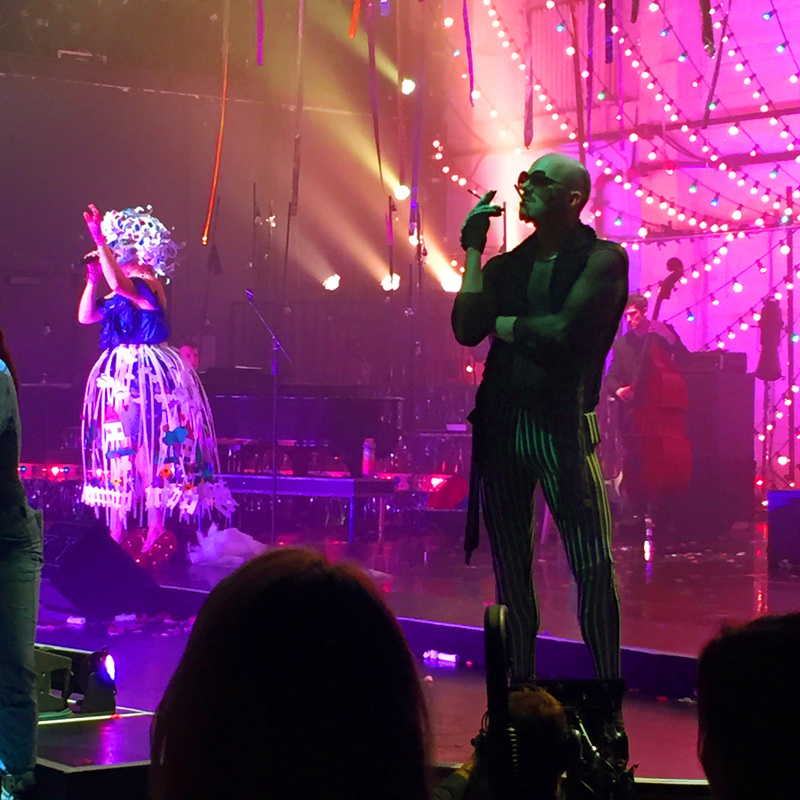 There’s a lot being said about MacArthur Genius grantee Taylor Mac and this epic production – and for good reason! 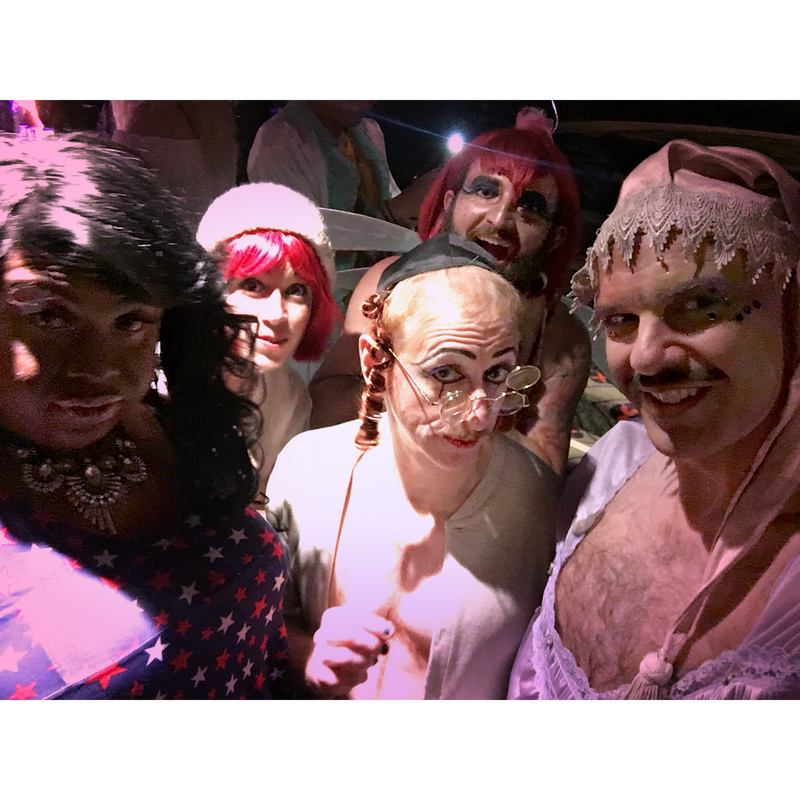 I’m so glad I was able to participate and revel in the role as a Dandy Minion with such a remarkable cast and crew of lovely people – reuniting with some old friends and forging some wonderful new. 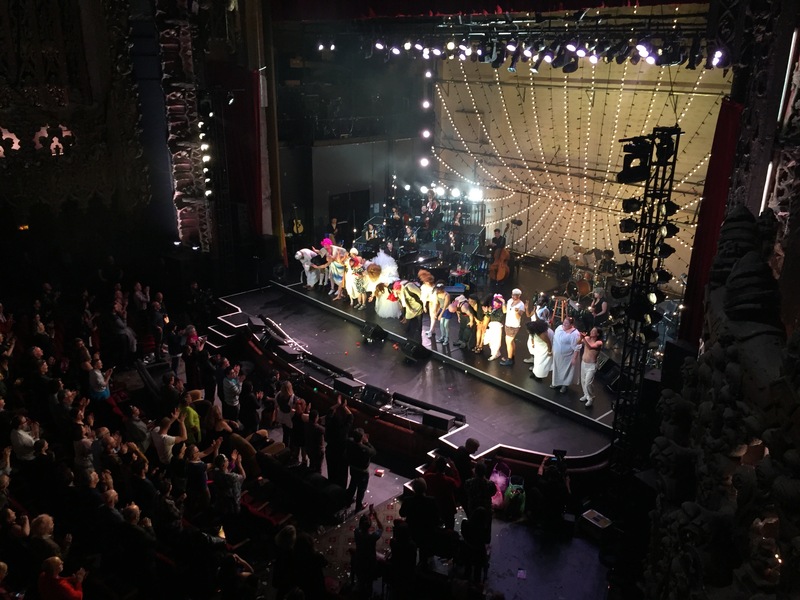 I was truly impressed by all the people involved in bringing this vision to life. 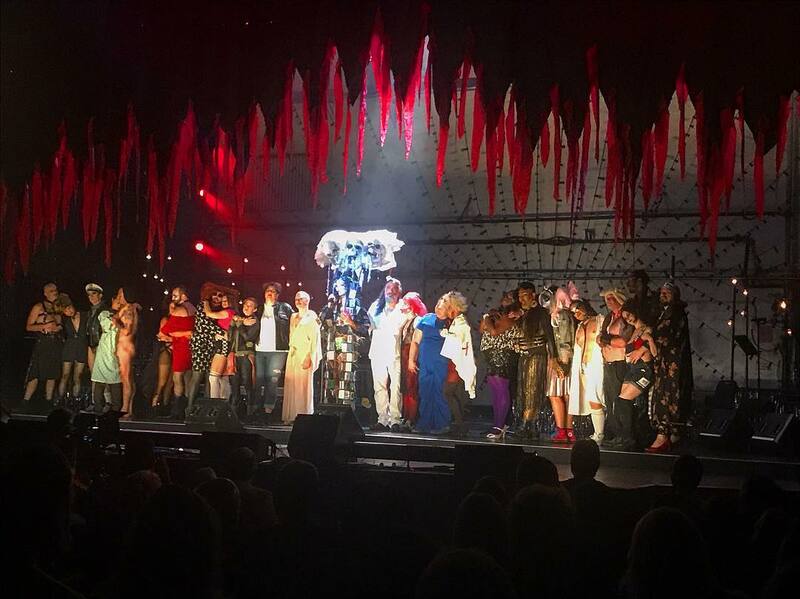 I have enough varied experiences in my theatrical career to know that the collaboration between CAP_UCLA and Pomegranate Arts with Taylor Mac was something quite wonderful and rare – not to forget taking place in something as grand and historic as the Theatre at the Ace Hotel (aka United Artists Theatre). It’s encouraging to know that such supportive producers are out there helping bringing visionary works like “A 24-Decade…” to audiences. 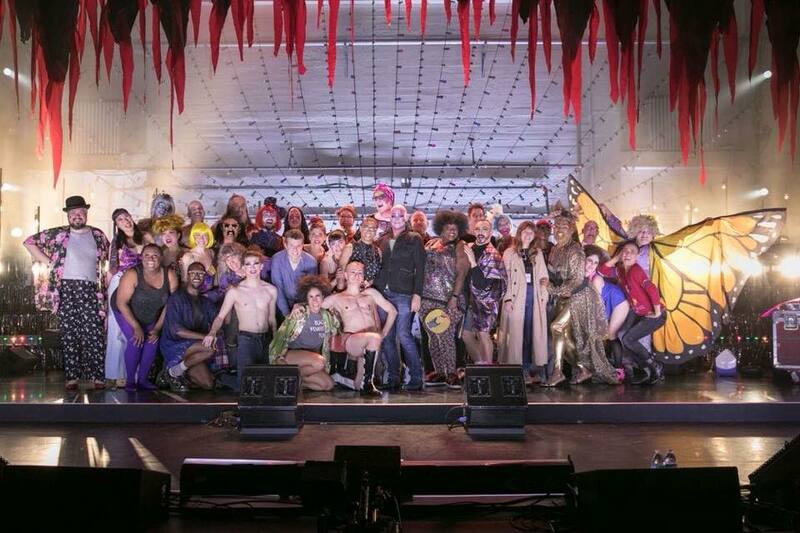 I also feel very fortunate that in my history I’ve worked on some incredible shows with a lot of beautiful people – most of them have been under the radar, unlike this stellar production, but a lot of them have been full of a sublime energy that I can truly say have been divine. 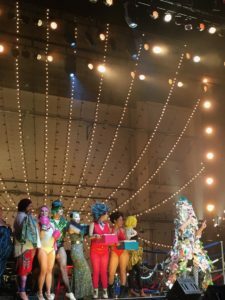 So for this, I enjoyed putting my few of my performance art wardrobe archives to good use (the organized bins of costumes in the garage came in quite handy) and crafting a few new pieces inspired by the glorious creations donned each hour by Taylor Mac that were brilliantly crafted by designer Machine Dazzle. 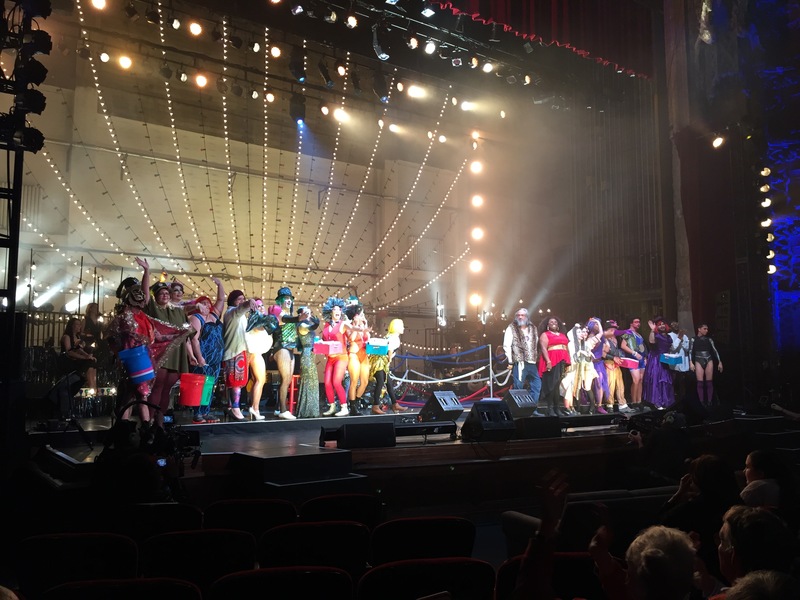 Each decade pulled from a particular theme and reference (like the 60’s involving a wig made from red & blue 3-D glasses along with a dress of white picket fences) that helped to echo the deconstruction of history Taylor Mac was discussing. The scope and vision of “A 24-Decade…” casts a much-needed queer light upon America, dispelling some of the popular white-male dominant myths and misconceptions, inviting in thought to include more of the entire diverse community. Such a task could have been woefully preachy, but this was a most entertaining gospel according to Taylor Mac, who possesses a thunderous talent and consummate control over the theatrical energies at play. He gifts the whole audience and supporting artists the chance to play and shine alongside. 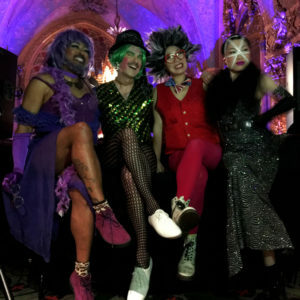 The show brilliantly digs its glittery heel into legitimacy and paves the way for more understanding and exposure to underground performance art. I’m certain everyone who experienced even a fraction of the production were planted with seeds for further contemplation. 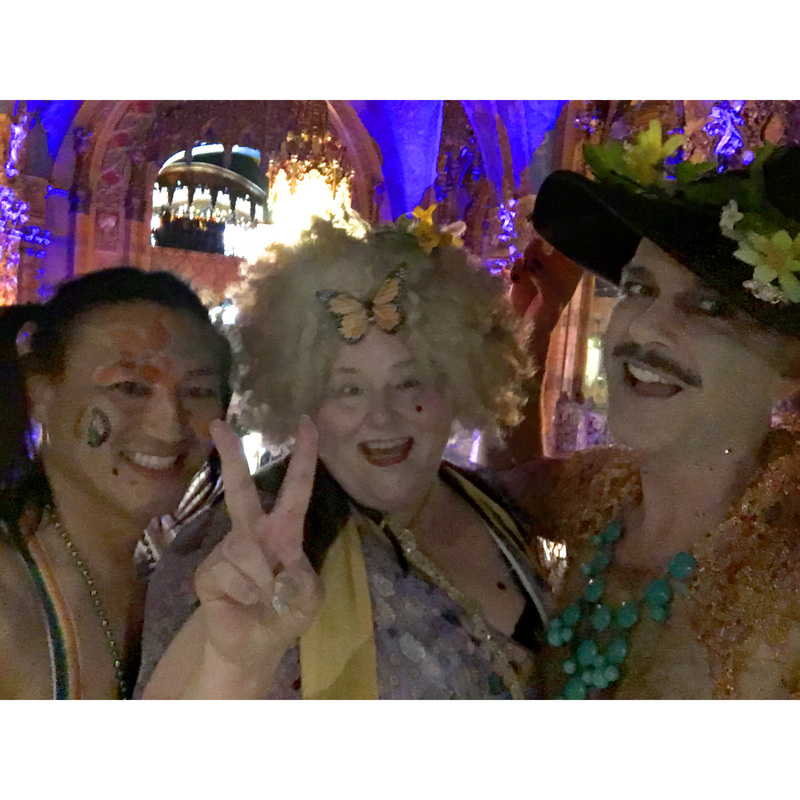 I know I’ve been I’ve been charmed by all the great people involved, which encourages and emboldens me to keep along this creative path in this incredible community. There is continued hard work to do to see old and new projects to completion. Worthy challenges! 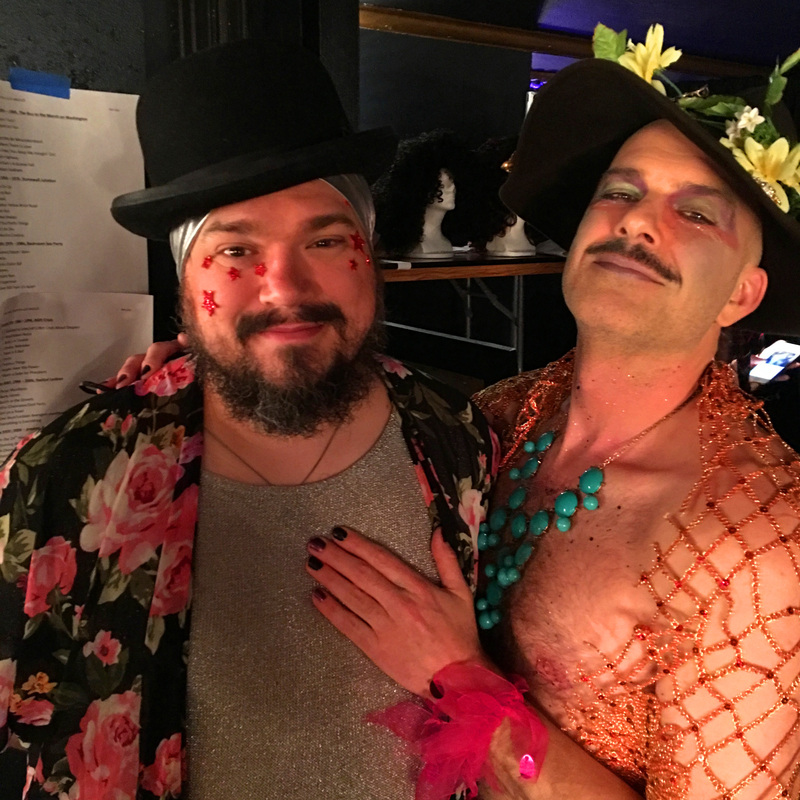 Taylor Mac’s final words from his original song were after all – “you can lie down or get up and play…” Let’s see what happens! Stay tuned. Play along!